The perfect combination of usability, versatility and recoil reduction. 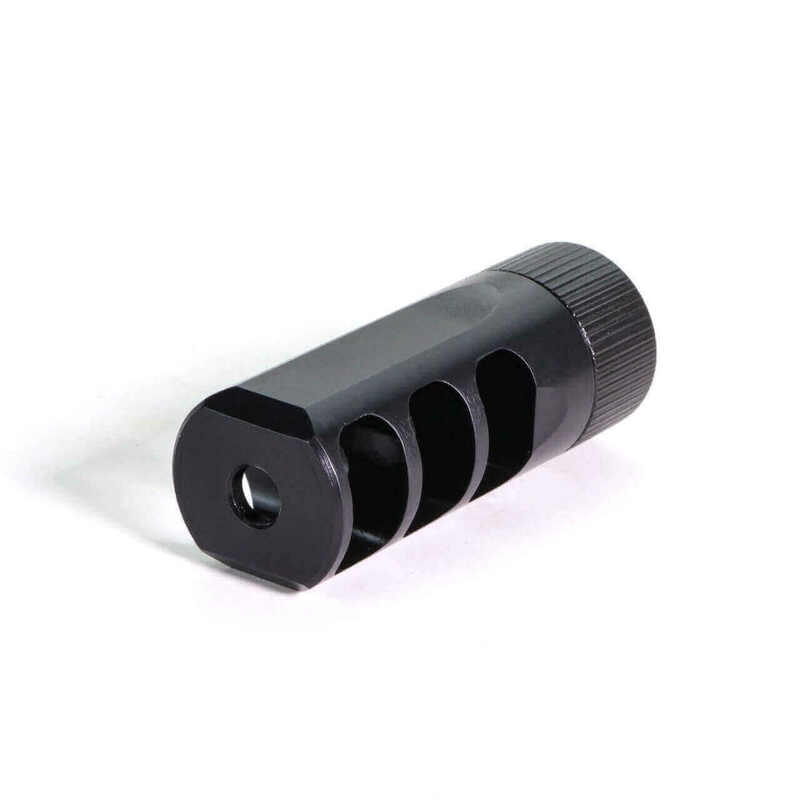 Designed by Faxon’s competition staff, the 3 Ports conclusively captures propellant glasses and redirect them to the sides for maximum recoil reduction. Made from high quality steel with Nitride Finish, the Gunner features “Muzzlok” for easy installation of your device. No crush washer needed, attach and remove in the field, time your muzzle device quickly and easily!